Two special guests are stopping by this week's episode of Eight One Sixty! Erin McGrane of Victor & Penny stops by to talk about their big show this Saturday, April 6 at Californos, with Kyle Reid and the Low Swingin' Chariots. 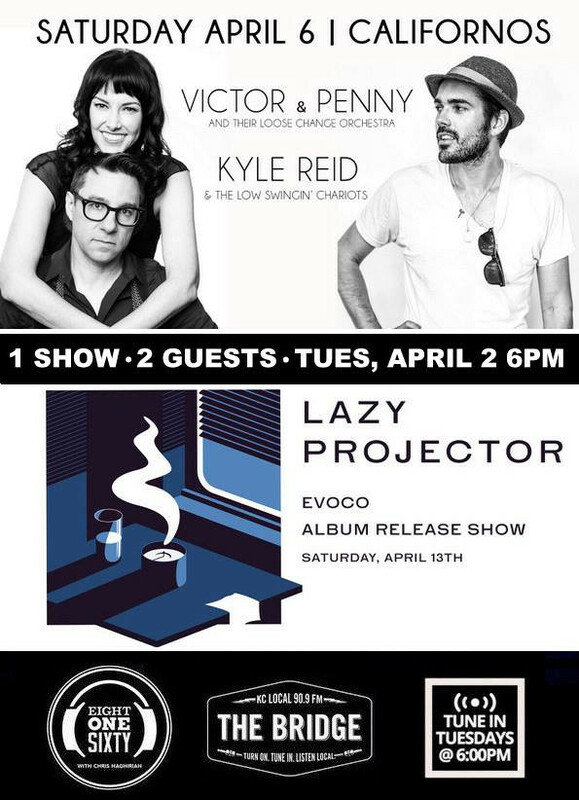 Then, Aaron Shinn of Lazy Projector will preview four songs from the band's brand-new EP, "Evoco," as they get ready for their album release show, next Saturday, April 13 at The Brick.